If one was going to purchase wire wheels for his solstice what would one need to know or be aware of & what brands to go with? I'm looking for pros & cons to doing it .Thanks. Thanks for the pic Chop I knew it was posted somewhere on the forum and could not locate it this was the inspiration for my original search . How big is your wallet ? I posted above that when I did my search I went to Dayton Wire Wheel Company and they were not interested because it would be a one off set of rims, the biggest problem is the bolt pattern and rim off set . I have to believe that if you went with an adapter plate and other type rim the wheel would stick out and another issue would be clearing the caliper . I would start with a Google search for wire wheels, wire wheel brands, and/or wire wheel reviews. Thanks for the input folks as i have a very limited knowledge on this subject. Back in the day I had some faxsimile wire wheels on my 77 Corvette, in retrospect it was a very, very bad wheel choice. I blame it on my youth, but then again we are talking about the disco era. 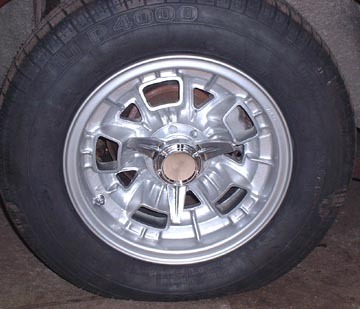 Basically it was a standard 16 inches wheel that had been chromed and then you'd bolt on two separate wire sections that would interlock and be held on by the center cap. What I like about them the most was how easy it was to remove them, clean them and the chrome wheel and bolt everything back together. Now that I think about it I seem to remember the center cap being held on by a hexagon bolt and having to use a special T key to remove it. I take it so far no one has posted on the forum that they have actually gone ahead & installed wire wheels on their car . I have been checking into it over the last few days & most rim & tire stores that are local have said they will get back with me on it. I was amazed at how many catalogues were out there that dealt with trucks rims & low riders. Thanks for the info Sting as what you said got me thinking & asking the right questions. I assume that you are aware that wire wheels will impair the handling. I have yet to see one that is as stiff as a cast aluminum wheel. If you add a splined adaptor to the hub so you can stick splined wire wheels on, you are adding to the unsprung weight which can result in a deteriorating in handling. If you use the readily available bolt on wires, the wheel centre can be even heavier. Then there are strength issues. The AC Cobras used wire wheels on the early cars, but switched to knock off Halibrand alloys for the 427 engined cars. My Lamborghini came with knock off Campagnolo magnesium wheels (a very expensive option to put on a Solstice) but Borrani wires were also used. The Aston early DB series used 72 spoke wires. With a lot of power, the wire wheels can be marginal. 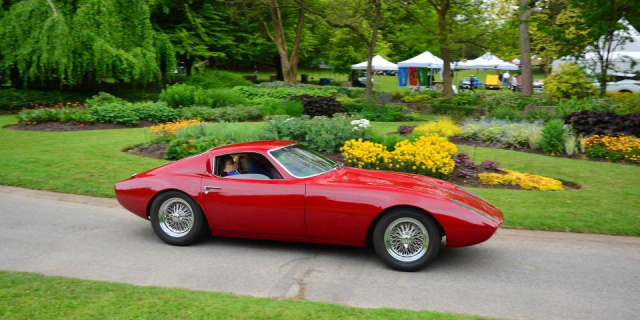 On my rebodied MGA, I stuck with wires as I think it gives the car less of a kit car look. They are AC Cobra mounted on Triumph detachable splines, but then I am dealing with only a bit more power than an NA Solstice and with almost 1,000 lbs. less weight. OTOH, the West coast Jensen dealers offered an option on the Jensen Interceptor of wire wheels made by Zenith in California. The mated with a serrated rather than splined adaptor and seemed to work just fine with a 4,000 lb car with a big block Chrysler, so might also be reasonably durable on a Solstice, though still not advisable for drag racer types, nor solo event participants. They were 7x15"
And in any case not a cheap way to go. Thanks Bill & John for taking the time to educate me on the issue. I will stick with what i have for wheels & keep it simple . True spoke rims can be high maintenance. Sometimes you need to tighten the spokes. And, unless they've changed over time, they require an inner tube type of tire. Dayton makes wheels with sealed wells that can be run tubeless. easyryderca and al_c like this.